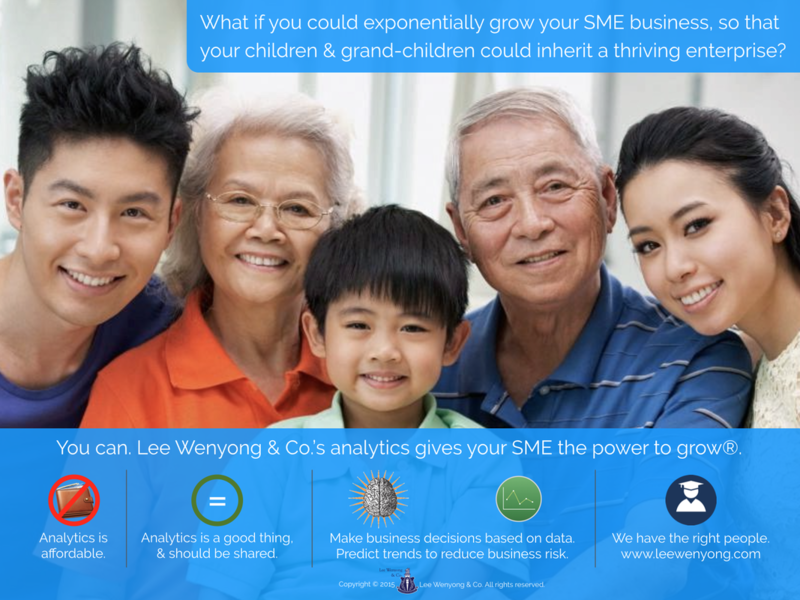 Brand Promise - Lee Wenyong & Co.
Lee Wenyong & Co. is an analytics firm, & we are dedicated to enhancing the lives of SME employees in Singapore, by establishing a direct line of sight between employee engagement & key business metrics such as profitability, through the use of analytics. Our signature product, The L12 System, is performance management for sales linked to HR. The L12 System brings together data management, planning, reporting & analytics in a single platform. It aggregates, normalizes, categorizes & analyzes all the data relevant to sales & HR directors, providing the best SME brands rich insight into what drives sales & their employees. Lee Wenyong & Co. delivers expert advice on all matters related to performance analytics, compensation & benefits, employee & customer engagement, insurance & financial planning, & we are committed to achieving the greatest good to the largest number of SME employees. Our primary goal is not to maximize shareholder return. 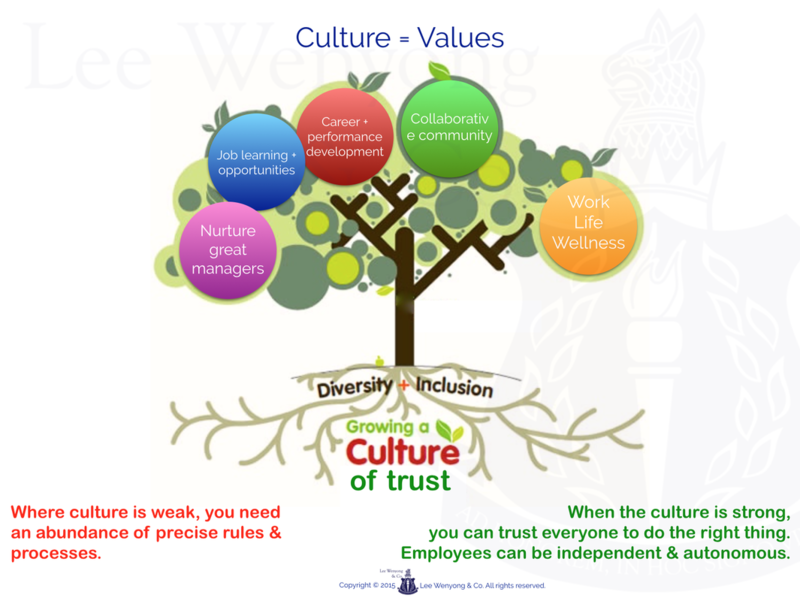 Instead, our first & foremost objective is to invest in & value all key stakeholders - employees, customers, partners, suppliers, the community, society & the planet - to create the most value over the longest term for all parties, including shareholders. We treat our employees with care & respect & pay them a living wage commensurate with results achieved. We are proud to possess a distinctly positive people culture at Lee Wenyong & Co.
Our offices are designed as result-oriented work environments. Employees choose the best place to work from, based on the task to be completed on that day. They are free to elect to work from a cozy cafe, or at the library, from home, or even at the botanical gardens. The office isn't necessarily always the best place to work from. We think of work as an activity, not as a destination. We pay employees for the value they create, not for face time at the office. We trust & respect our employees, plain & simple. We treat our customers with the same care & respect with an enduring dedication to excellence in the services & products we provide, & fairness in the prices we charge for it. We value & respect our partners & suppliers by not squeezing them for the lowest possible prices. We take very seriously our continuing responsibility to our Singaporean community in which we operate, & also to our planet whose resources we depend upon. We consume only to create. We add more value to the world than we extract. We strive to add appreciable positive benefit in the world with our specialized HR services & products.